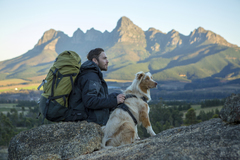 ROGZ introduces the Explore Harness – Adventure awaits! 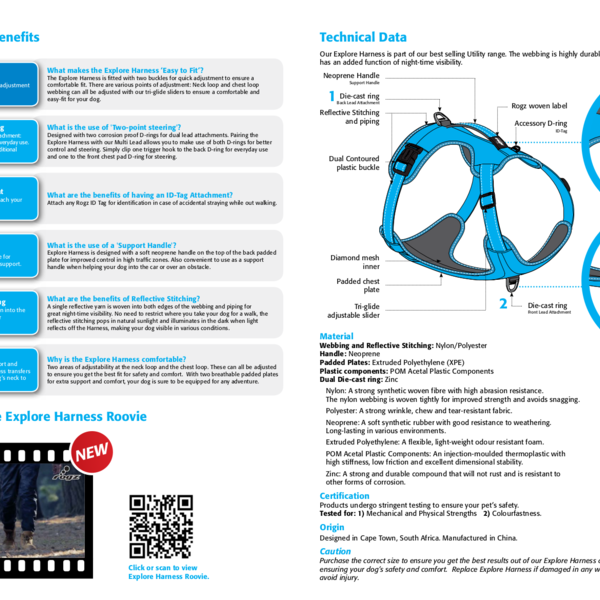 This exciting new dog harness is designed and tested and suitable for any adventure. If you enjoy hiking in the mountains or a simple walk in the park, the Explore Harness is the perfect, EASY-FIT solution for any outdoor activity with your dog. Constructed with durable webbing and breathable material, the padded chest and back plates offer comfort and PROTECTION from foreign objects. The soft neoprene handle is an added feature to SUPPORT your dog over obstacles, in and out of the car or for close control in high traffic zones. The harness has been designed with two-point STOP-PULL steering for better control. When the dual lead attachments are in use, the harness encourages redirection of your dog’s head and reduces erratic pulling. Explore any time of the day or night! REFLECTIVE stitching pops in natural sunlight and illuminates in the dark when light reflects off the Harness, so dogs remain visible in various conditions. For added peace of mind while out and about. ROGZ has added an ID-Tag attachment point. Go Explore! 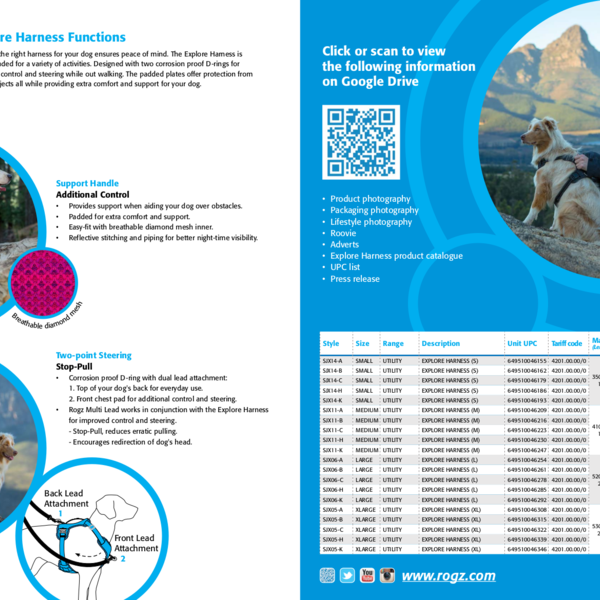 Create new memories and strengthen your connection with your dog. 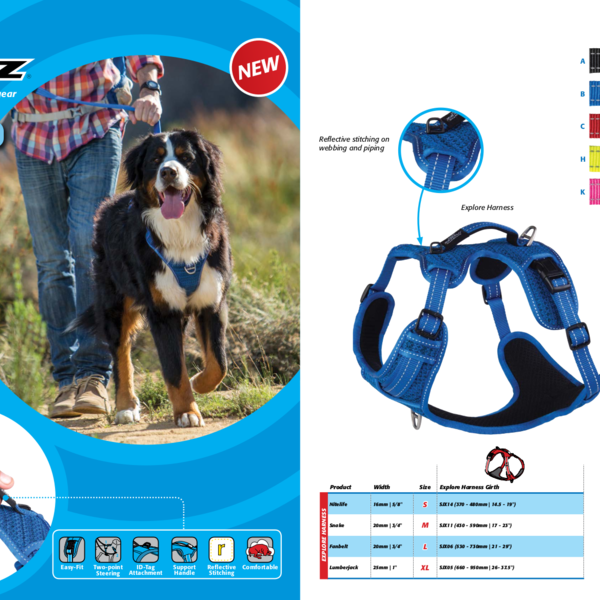 The ROGZ Explore Harness is the perfect harness for any activity.